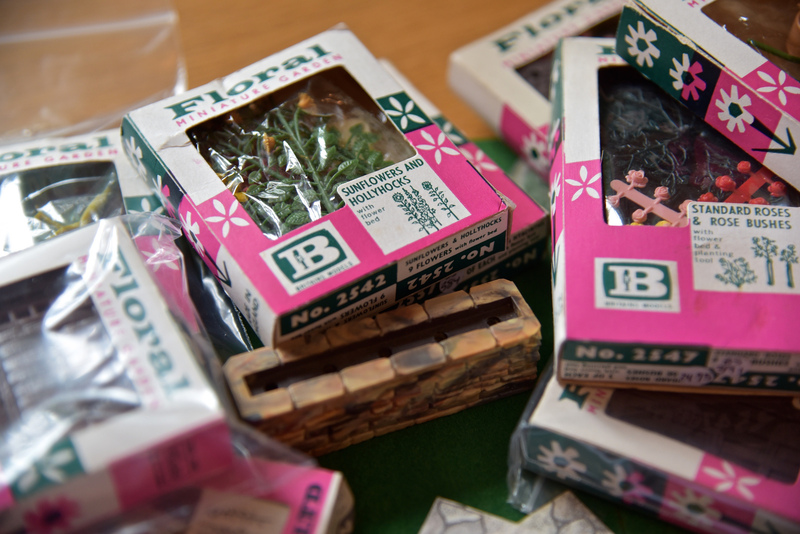 When I was a wee young thing, my favourite toy was a miniature garden produced, I have since remembered, under the brand name Britain’s Floral Garden. 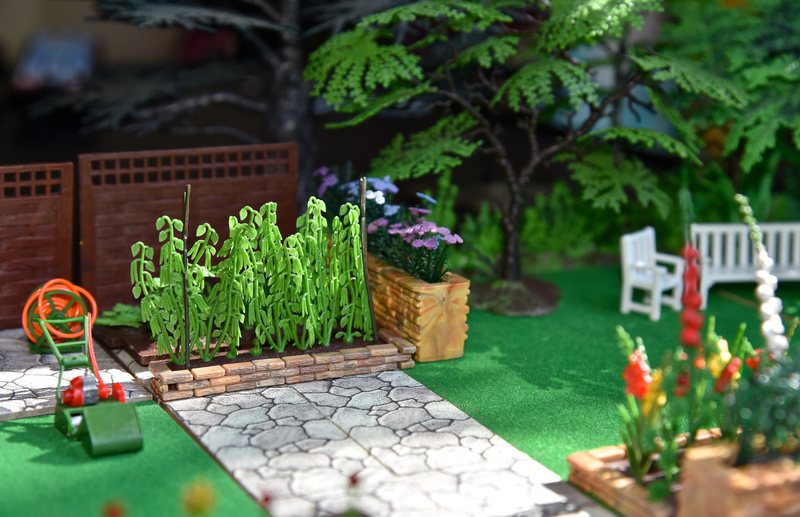 You bought lawns, fences, flowers, rockeries, trees, greenhouses, crazy pathing etc – either in a pack form or individually in separate packs and used them to form a garden either to their suggested form or your own. 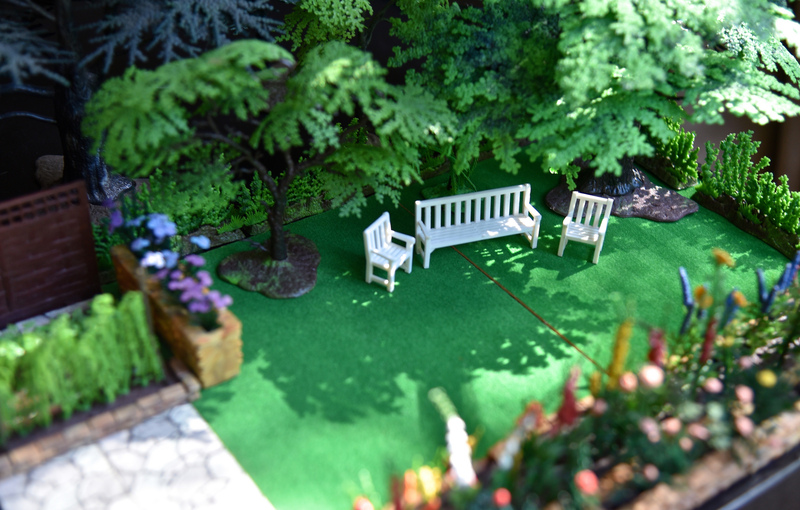 When recently recreating some hotel images with doll’s house furniture for a photoshoot, I suddenly remembered this tiny garden set that I used to have and wondered if – by any chance – it was still in production. The bad news is that it isn’t. Of course it isn’t. The good news is, that it still thrives on the web and I have started re-collecting it and having fun. It’s led me onto eBay – a platform I had studiously avoided (as being just too tempting) – and I have been chatting about the garden with various of the sellers who have all been very charming and most helpful. It seems – like I have recently become – they are all keen collectors too in the most part. So what is this Floral Garden all about then? 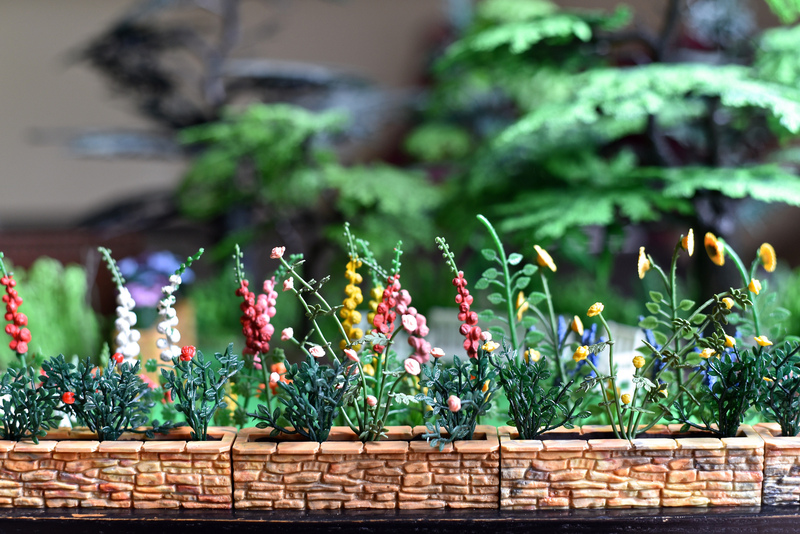 Britain’s launched a miniature garden series created in lead in 1931. 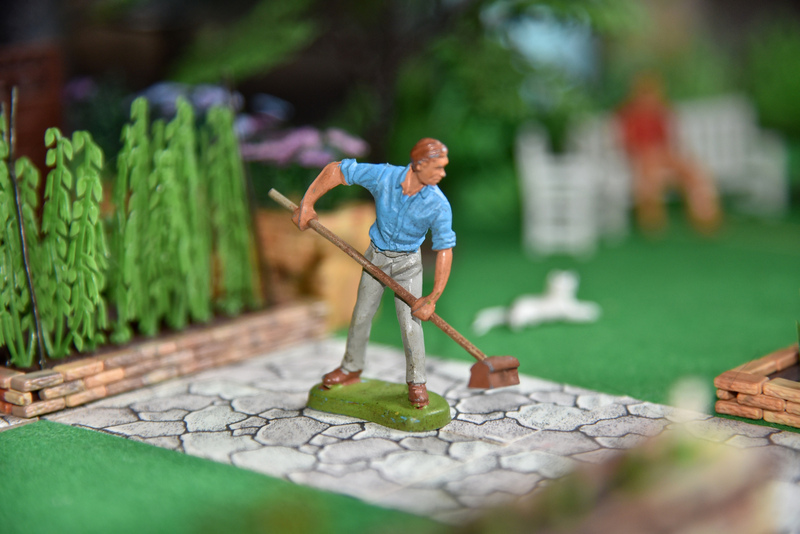 It was post-war, after a merger with Herald Miniatures and access to the talented Roy Welwyn-Smith and William Cleary, that a plastic version was launched in 1960. The promotional blurb called it a constructional toy to a generation of affluent “baby boomers” and I must have been bought my first set late 60’s. The floral garden series continued to be produced until 1977 in various guises and then sadly ceased. 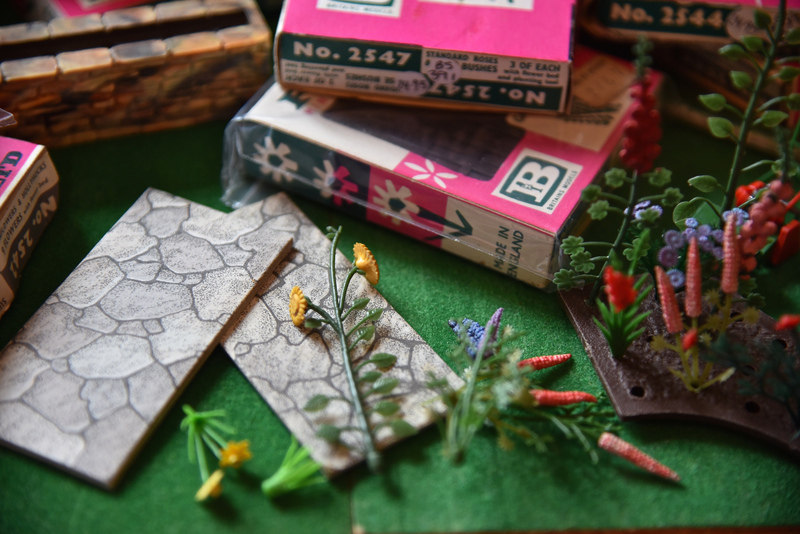 For me, fascinated always with life in the miniature – stamps, dolls houses etc – the joy of creating my own garden, clipping rose buds onto green shoots and planting into plastic earth was my idea of heaven. I have to admit – just between us – sitting here, populating a rose bush with pink buds, it still is. Just don’t tell anyone. If you are intrigued and want to look out for Britain’s Floral Garden, take a peak at eBay but I give fair warning, it can be addictive. More can be gleaned from the excellent book devised for collectors, Britains Plastic Models 1960 – 1970 by Barney Brown – one of those self-same eBay contacts mentioned above. 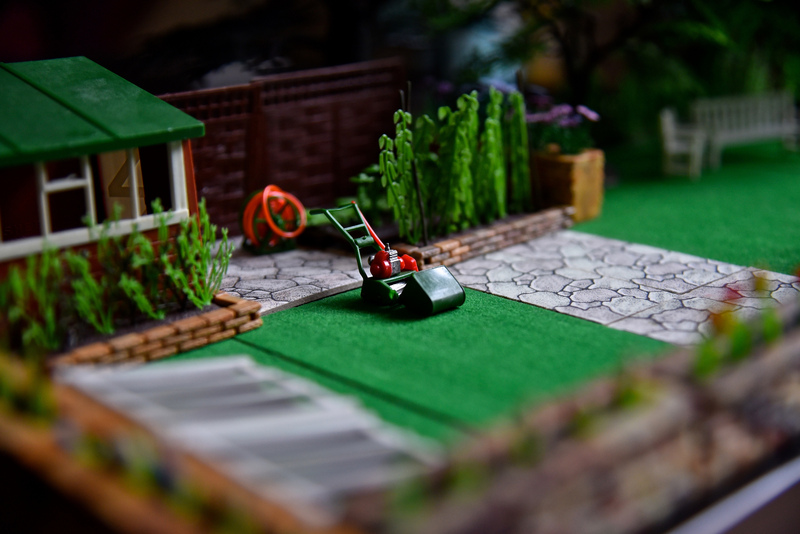 Amazing detail – just love the lawnmower. And a garden without slugs – hurrah! 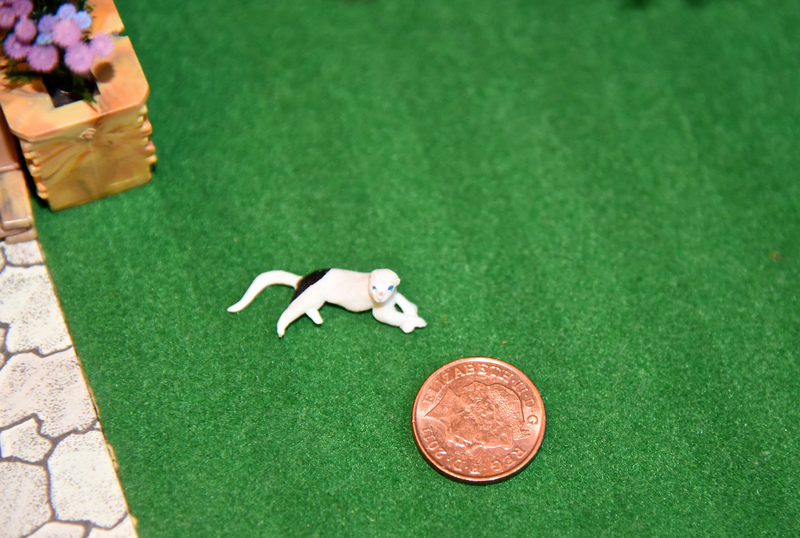 Haha – yes – always a bonus to leave the slime behind!